A one quarter scale Rolls Royce Merlin engine. 12 cylinders, overhead cam. Once again, I caught this motor while it was running (that's why the shortened prop is blurred and transparent), it wasn't very loud, but it was very reminiscent of the sound of a WWII airplane. 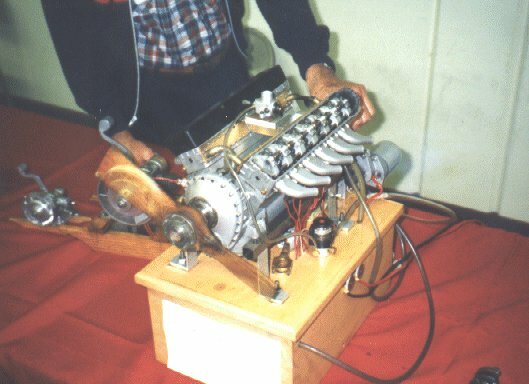 This motor is about 16 inches long. The original would be about the size of a Toyota pickup truck. Very cool.